Why choice Red Power Goji Juice? Goji contains 18 amino acids, including the 8 essential ones; they are a superb source of vitamin A and offer more beta carotene than carrots. Goji has 500 times more vitamin C per ounce than oranges. Goji berries also have 21 trace minerals including germanium (anti-cancer substance), VB1, VB2, VB6, VE and Beta-sitosterol. 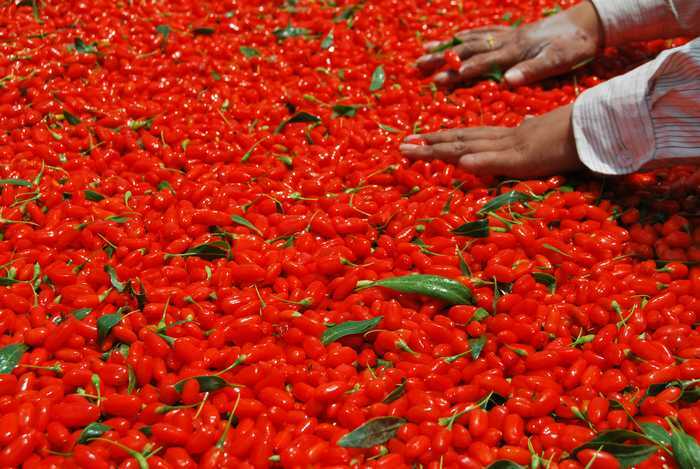 Goji berries can tonify kidney to improve sexual potency. It also contains essential fatty acids, which promotes normal heart function and blood pressure. Goji is also proved able to prevent geriatric diseases and tumour diseases. Looking for ideal Fresh Fruit Nfc Goji Juice Manufacturer & supplier ? We have a wide selection at great prices to help you get creative. All the Premium Nfc Goji Raw Juice are quality guaranteed. We are China Origin Factory of 2017 Premium NFC Goji Juice. If you have any question, please feel free to contact us.